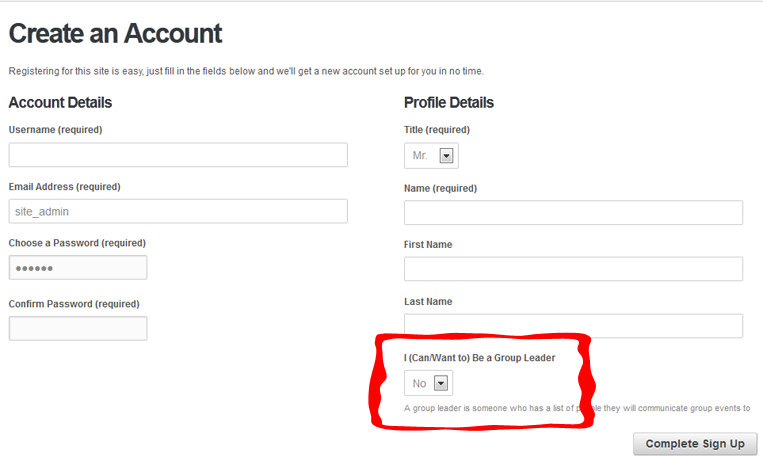 This is a brief tutorial on how to enable the contact group leader feature for your profile and to assign members and view members in your group. What are Contact Groups ? When creating your account for the first time, make sure you select "Yes" in the highlighted area before saving. 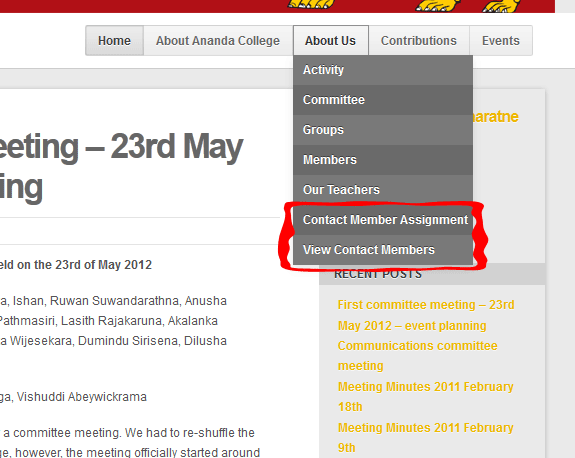 If you are already registered, open up your profile and select "Yes" in the highlighted area and save changes. Once you have set the Group Leader option as described in the previous two figures, you can now access the two links highlighted from the main menu. 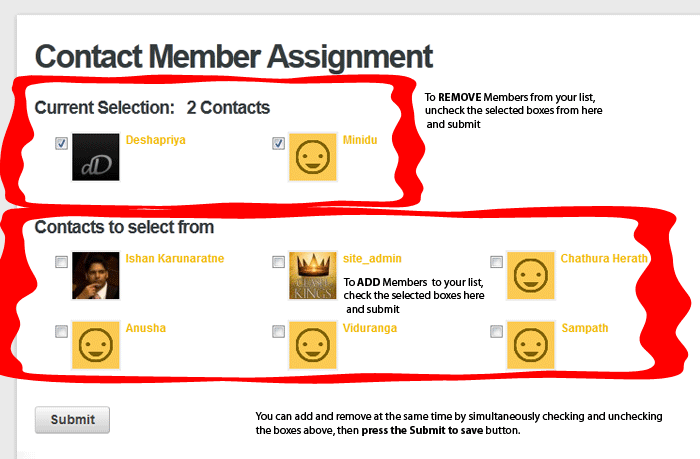 Contact Member Assignment will enable you to add members to your group, while View Contact Members will show the members in your group. 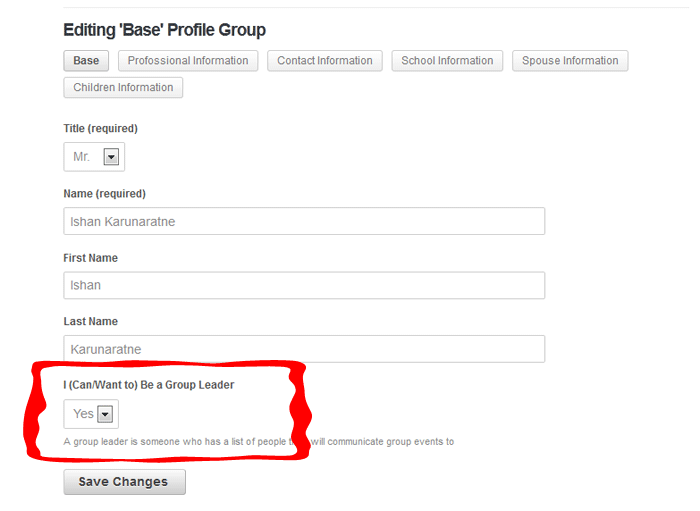 A simple process to Add and Remove members from your contact group.